Is Lincoln Square where you want to be? Is owning a beautiful single family home that has almost $2000 per month of rental income from a coach house coming in or just having a coach house for you or your family's use appealing? 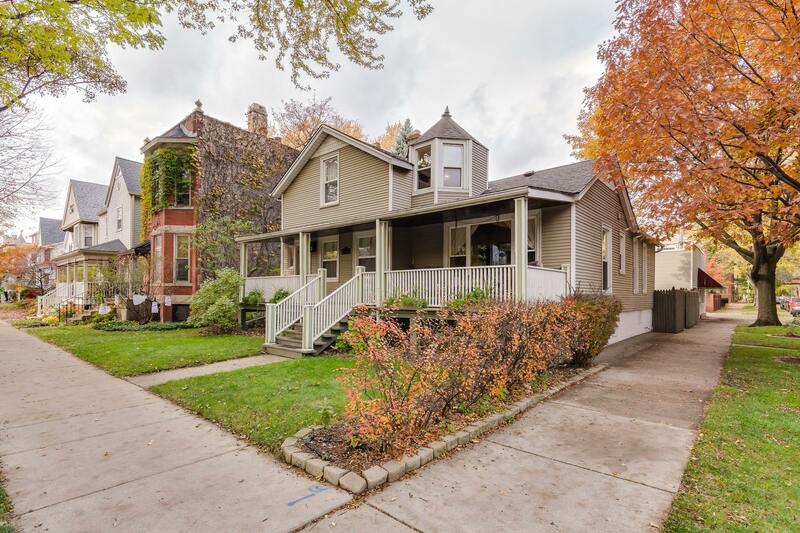 Be at home in the heart of Lincoln Square in this beautiful and historic single family home with a coach house. Located on the corner of Wilson and Hamilton, you cannot ask for a more vibrant location near elite schools, restaurants, public transportation, shopping, Starbucks, and so much more. You will love the huge front porch and gorgeous architecture of this historic home. Inside the floor plan is open, bright and inviting with 2 full baths, hardwood floors throughout, large bedrooms, and abundant storage. The home features dual zone HVAC and a full unfinished basement. The backyard is an inviting oasis for entertaining, gardening, or just relaxing. The coach house rents for almost $2000/month and it updated with an attached garage. Welcome home!